Your friendly driver will pick you up in the comfortable air-conditioned luxury coach before sharing experiences, fascinating facts and enchanting stories in the onboard full commentary throughout the tour. This afternoon spend time exploring more of Hobart at your own pace or perhaps relax back at your hotel. Day Tour with Hotel Pick-Up, Tram Tour, Overnight Accommodation. Locally known as 'The Mountain', the scenic drive to the summit of Mt Wellington unfolds into a magnificent splendour of panoramic vistas over the city. Then travel to MONA with its compelling display of art and architecture before returning to Hobart by ferry. At Hobart's famous new MONA art museum you not only witness the respected collection that includes Sidney Nolan, but also admire its remarkable architecture and its setting within a winery on the Berriedale Peninsula. The Museum of Old and New Art attracts more than 200,000 visitors a year and is the largest privately funded museum in Australia. It presents 400 artistic works from the private collection of David Walsh (including antiquities, modern art and contemporary art) along with visiting collections. It has been likened to the Guggenheim Museum in Bilbao. Today you will experience: ABC Buildings (Hobart's original sandstone railway station), Government House, Derwent Entertainment Centre, Montrose Bay, Constitution Dock, the Cadbury Chocolate Factory Interpretation Centre in Claremont (learn about Cadbury history and chocolate manufacturing processes, enjoy free samples), head back on the Brooker Highway passing through New town & North Hobart, MONA art museum (amazing art and setting), return to Hobart on-board a delightfully scenic cruise on Hobart's Derwent River to complete your sweet day of indulgence. 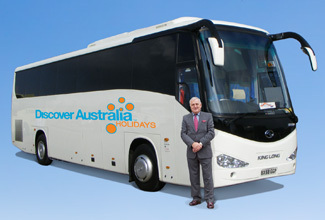 Luxury Coach Tour with Hotel Pick Ups, MONA Fees, Derwent River Cruise, Chocolate Sampling, Overnight Accommodation. Luxury Day Tour with Hotel Pick-Up, Carnarvon Bay Cruise, Port Arthur Historic Site Guided Tour, Overnight Accommodation. You have 3 choices of accommodation in Hobart. Our "Good Standard" central Hobart hotels have great facilities, a comfortable room and friendly service (typically 3.5 stars). Alternatively, why not treat yourself? The "Deluxe" hotels have superior facilities, stylish rooms and first class service (typically 4 stars). The “Luxury” hotels are upscale with a more luxurious feel for the discerning traveller and great for celebrating an anniversary (typically 5 stars). You will be personally met at the airport on arrival in Hobart by a DISCOVER AUSTRALIA representative and transferred to your Hobart hotel. You will also be transferred by a DISCOVER AUSTRALIA representative from your hotel to Hobart airport for your flight home. You’ll receive the FREE DISCOVER AUSTRALIA Bonus Voucher Book that includes $500 value of discounts and bonuses throughout Hobart and Tasmania at shops, restaurants attractions, wineries etc. 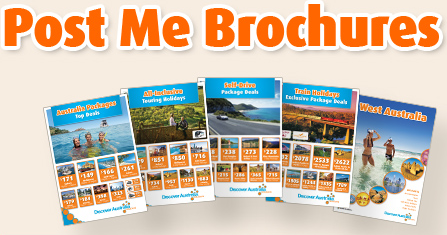 It’s a great way to save even more on your Tasmania holiday. The Hobart Essentials is very popular. Many dates book out well in advance, please book soon.